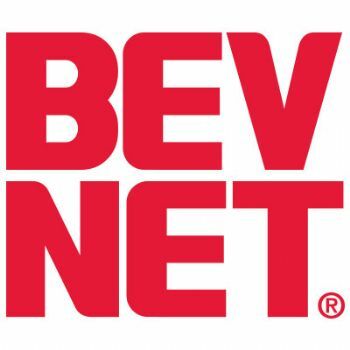 “The acquisition, which marks a seminal event for the beverage industry, will allow BevNET.com and Beverage Spectrum to deliver a complete information and media package to the beverage industry”, said John Craven, President and Editor-in-Chief. “So many people are turning to the Web for information today in favor of print, but the beverage industry is not about to give up the in-depth coverage of beverage retailing that Beverage Spectrum delivers,” observed Mr. Craven. Founded in 1996, BevNET.com was created by John and Jack Craven with the intention of covering new age beverages, a category that was in its infancy at the time. Together, John and Jack have evolved BevNET.com into THE information source for the beverage industry, distributors and brand marketers alike. Adding print publishing to the operation has been a longtime desire for Jack, who previously served as Executive VP & CFO of Time Inc.’s Retail Marketing and Sales division as well as Senior VP of Operations / CFO for Jobson Publishing Corp., a leading business to business publisher. “By utilizing the strong readership of BevNET.com and the efficiencies of the internet, we can quickly improve Beverage Spectrum’s circulation and vastly increase the value proposition to the reader and advertiser by using the strengths of the BevNET.com web site,” stated Mr. Craven. BevNET provides instantaneous information for beverage distributors and beverage brand managers. Beverage Spectrum provides in-depth product, trend and research information to the beverage retailer. The partnership creates a broader reach giving the industry the first perspective that brings the supplier base and buyer base together to open the communication line between beverage distributors, beverage brand managers, and beverage retailers allowing all parties to communicate more effectively. The readership of the combined publications is unparalleled in the industry. BevNET.com is the leading beverage industry web site with approximately 200,000 monthly readers worldwide. Beverage Spectrum is the leading beverage retailer print publication with a monthly circulation of over 17,500 retailers, distributors, and brand marketers. Both companies expect the acquisition to lead to a dramatic increase in readership/viewership and note that the partnership will certainly translate into incremental reach for advertisers. “Both brands are deeply in touch with the industry, from a brand and product perspective as well as a retailer perspective,” states John McKenna, Associate Publisher of BevNET.com and Beverage Spectrum. “It is almost impossible for the trade to buy the relationships and credibility that our new media outlet has with the industry. “No one publication can reach beverage marketers, buyers, and distributors like BevNET.com and Beverage Spectrum can together. Most beverage trade magazines have long term leads while BevNET.com is almost like the beverage equivalent of CNN Headline News in the industry” states Bill Sipper, Sr. Partner of Cascadia Consulting Group, a leading food and beverage consulting firm. “Beverage Spectrum is nearly the equivalent of the traditional CNN adding in depth stories, data, and critical perspective” adds Sipper. BevNET.com and Beverage Spectrum have been partnering editorially for the last year. The newly combined company anticipates no staff reductions or changes and will maintain its current offices and staff in Cambridge, MA, Manhattan, and Chicago.